Now entering his 12th week on the road, Salmon Arm, BC’s, Breyden Erickson has encountered rain, snow, wind, lightning and even tornado warnings. Breyden has a friend battling Leukemia and this has inspired him to help make a difference in the fight against cancer. 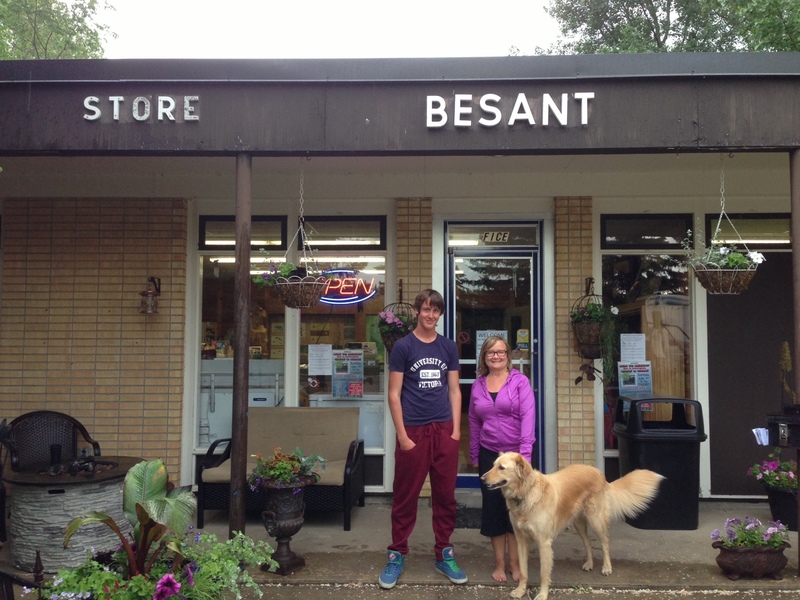 While the 18-year old has been walking across the country, donations to the Canadian Cancer Society have steadily increased and the people he has met along the way continue to be impressed with his dedication to raising money and awareness. 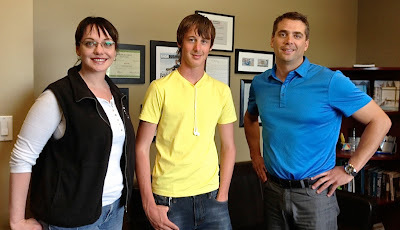 He’s making his way across Southern Saskatchewan, and on a recent visit to Swift Current, SK, Breyden stopped in to meet Mayor Jerrod Schafer and Team Breyden member, Sherri Edwards. The Queen City is in his sights and then on to Manitoba. A little bit of weather won’t stop him. Breyden and the team should be arriving in Moose Jaw today, Sunday June 16, or possibly tomorrow depending on the weather. But I just have to mention a few folks that they have met up with over the past few days. 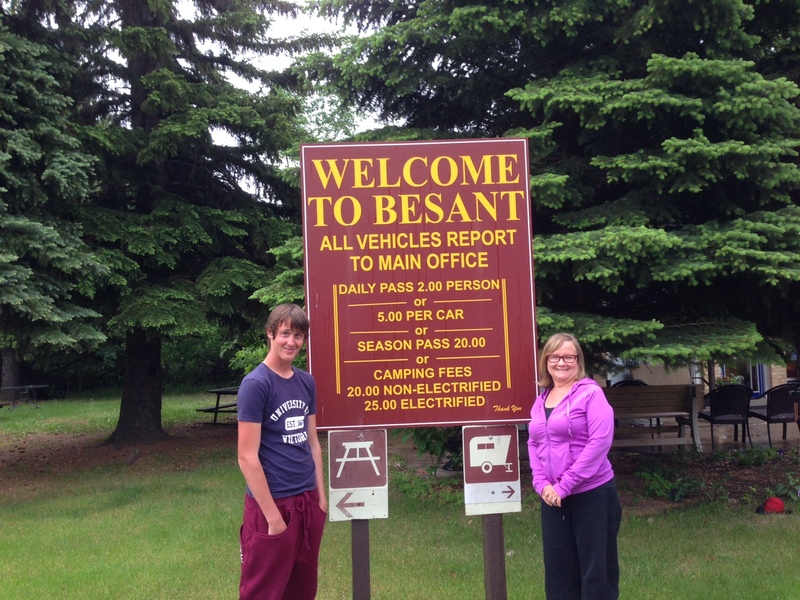 On Friday night they camped at Besant Campground just 35 km west of Moose Jaw. Campground managers Shawna and Bill Campbell provided a free stay for the team after hearing what Breyden was doing. The team as always was very appreciative of that but then an employee of the campground, who wishes to stay anonymous, took it a step further. 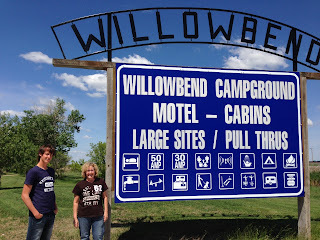 Because the campground did not have any WiFi service, they offered to use their smart phone as a hot spot so that Breyden and the team could use it to connect and get caught up on e-mails etc. Wow, so generous. Thank you. But then, they drove into Moose Jaw to take out some cash from their personal account, came back and also took up donations from the other campers and presented the team with $100 dollars to put towards expenses. People are just awesome!! 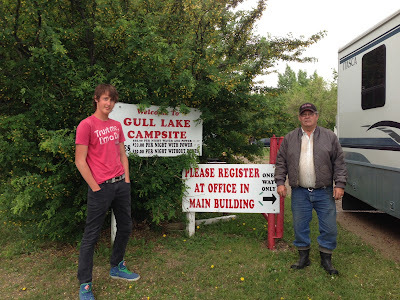 And just a few days before getting to Swift Current they stayed at The Gull Lake Campground. Looks like a beautiful spot. Here is a picture take of Breyden with the campground manager but I also had to borrow the picture from their web site. It appears, to me anyway, to be a classic Saskatchewan scene. Beautiful. 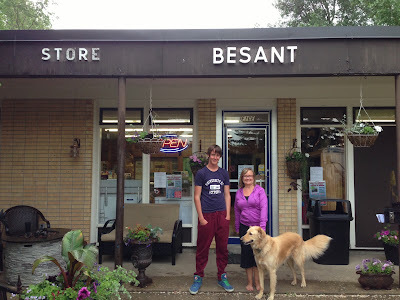 I am a bit behind on my blog so I have one last thanks for the people of Maple Creek Saskatchewan. 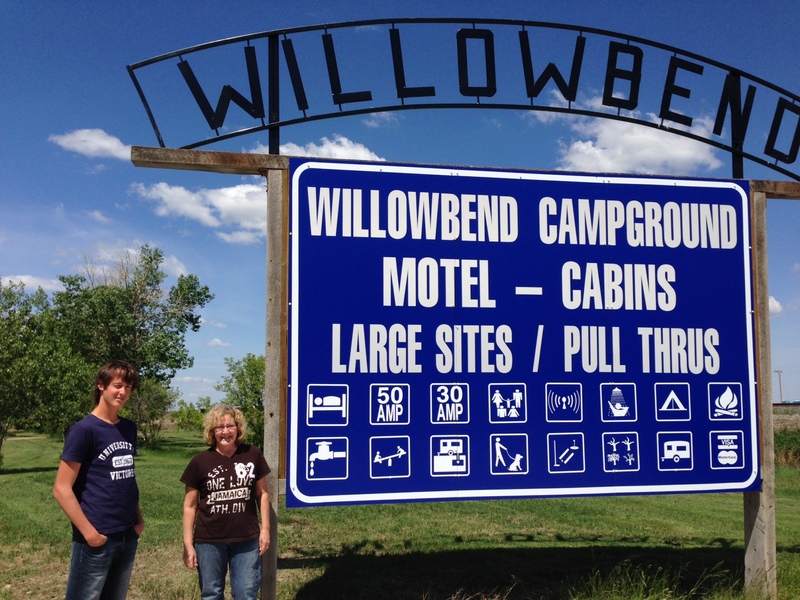 Darcy and Joan Chmilar got them all set up at the Willowbend Campground in Maple Creek and provided all the hookups needed for the RV. Apparently it rained over 2 inches last night so Breyden is extremely grateful to his grandparents for being along for support and having the motorhome to stay in. Well, the rest of us are all thankful to them that he is being kept safe along his trip. Donations are coming in but we need your help to for Breyden to reach his goal. Donate to the Canadian Cancer Society here.